New Jersey slot machine casino gambling consists of 9 casinos in Atlantic City. No other offline locations in New Jersey allow slot machines, including at 3 pari-mutual racetracks and 5 off-track betting facilities. However, there are 2 internet gaming affiliates available for online gaming if you are physically located within the state. The State of New Jersey gaming regulations has legally set a minimum payout return limit for slots machines in Atlantic City. No maximum payout return has been set. 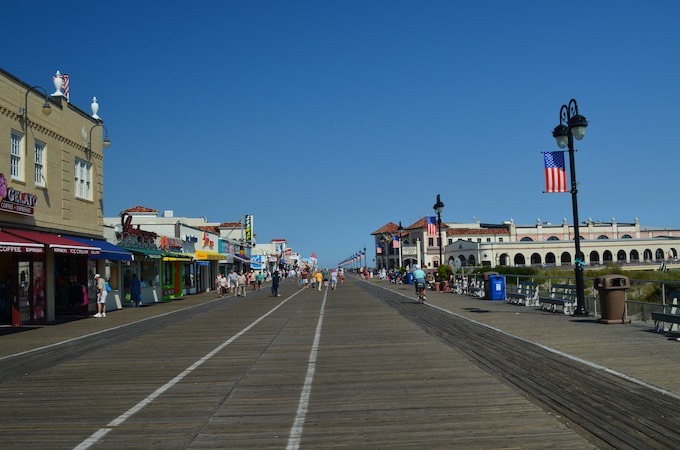 Historically, New Jersey’s Atlantic City established legalized gaming on the eastern side of the United States from Nevada. New Jersey voters legalized casino gambling in Atlantic City in 1976. 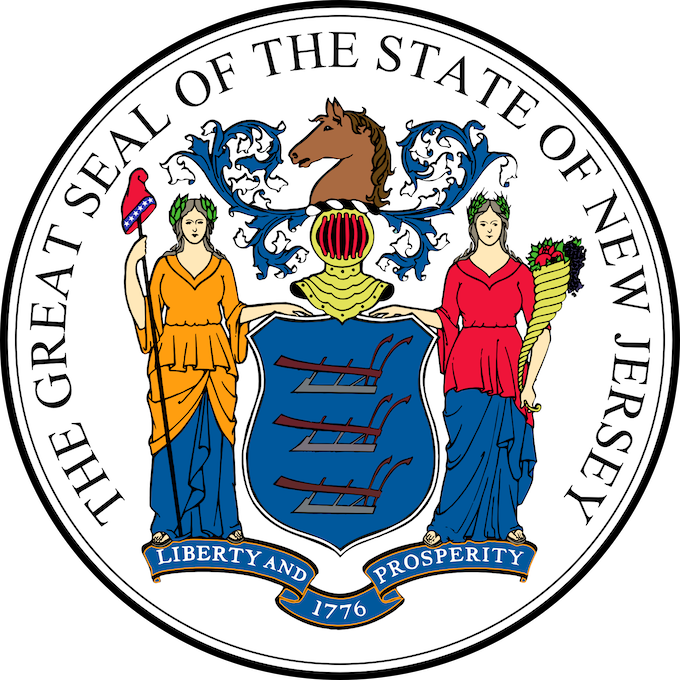 The New Jersey Casino Control Act became state law in 1977. The first casino in New Jersey, the Resorts International Casino, opened in Atlantic City in 1978. During their peak in 2006, when they were the only commercial casinos in the eastern U.S., Atlantic City casinos were an economic boon. 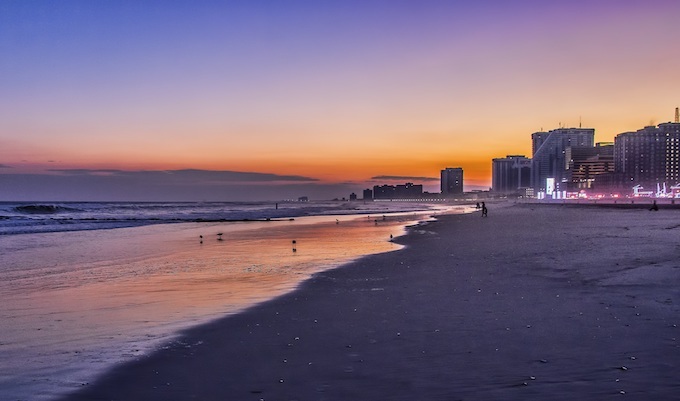 Subsequent openings of many casinos and racinos throughout the eastern states, along with the Great Recession, has hugely reduced the profitability of Atlantic City casinos. As indicated by the reopening of two casinos in mid-2018, there has been a recent upturn in profitability. It is legal to privately own a slot machine in New Jersey if manufactured before 1941. The State of New Jersey Casino Control Commission regulates online and Atlantic City casino gambling. This regulation is shared with the state’s Division of Gaming Enforcement. The Commission is an independent agency while the Division is an arm of the New Jersey’s Attorney General’s Office. A particular flavor of state gaming regulations for New Jersey is publicly available from the Casino Control Commission. However, those are mostly for establishing a safe and robust gaming industry within the state such as the licensing of casino operators. Of more interest to slot machine enthusiasts are the gaming regulations from the Division of Gaming Enforcement. Further, the Division makes publicly available gaming financial and statistical information including monthly and quarterly gross revenue reports. The monthly gross revenue reports will be most useful with regards to payout return statistics. There are nine commercial non-tribal casinos and no tribal casinos in New Jersey. The largest casino in New Jersey is Resorts Casino Hotel in Atlantic City, having 2,500 gaming machines and 76 table games. The Wild Wild West Casino is officially a portion of Bally’s Atlantic City, often considered by the public to be a separate casino. Three tribes have received recognition from the State of New Jersey. However, none are federally-recognized tribes, a requirement for tribal gaming under the federal Indian Gaming Regulatory Act. Therefore, there are no tribal casinos within the state. As an alternative to enjoying New Jersey slot machine casino gambling, consider exploring casino options in a nearby state. Each of the links above will take you to my state-specific blog for that bordering state to New Jersey. The State of New Jersey Division of Gaming Enforcement provides online an official list of Internet Gaming Sites. As this state government website clearly says, if an online gaming site is not on this list, it is not approved to offer internet gaming in the State of New Jersey. Regarding theoretical payout returns in New Jersey, state gaming regulations require all slot machines have a minimum payout return of at least 83%. There have been some changes on the State of New Jersey’s Division of Gaming Enforcement website with regards to payout return statistics. For 2013-2017, the annual casino win percentage details are in their Historical Statistics page. These reports are yearly statistics. More recently, the Division of Gaming Enforcement has begun providing Monthly Gross Gaming Revenues with casino win statistics. These monthly statistics are quite a bit more useful for us than annual results. Like Nevada’s payout return statistics, New Jersey also provides a Win% which is the amount won by the casino rather than the amount earned by the player. To determine the amount earned by the player, take the Win% provided in these reports and subtract it from 100%. For January 2019, the highest payout return for players goes to Harrah’s at 92.2% closely followed by the Borgata at 92.0%. The lowest payout return went to Tropicana at 90.7% also closely followed by the Golden Nugget at 90.8%. New Jersey slot machine casino gambling consists of 9 casinos in Atlantic City as well as internet gaming choices if physically located within the borders of New Jersey. New Jersey’s theoretical payout return legal limit for slot machines is 83%. No maximum limit was set. Actual payout return statistics became publicly available monthly in 2018. However, these slot machine statistics are by casino only rather than, as done by some states such as Nevada, further broken down by slot machine denomination. On the same day in the last year on June 28, 2018, two casinos reopened in Atlantic City: Hard Rock Hotel Casino Atlantic City (formerly Trump Taj Mahal which closed in October 2016) and Ocean Resort Casino (formerly Revel which closed in September 2014). 2018 Archive: New Jersey Slot Machine Casino Gambling 2018 – New Jersey slot machine casino gambling currently consists of 7 casinos located in Atlantic City, with another casino opening in late May 2018. New Jersey’s gambling laws are the most permissive in the U.S. New Jersey state gaming regulations require that all slot machines have a minimum payout return of at least 83%. Previous: New Hampshire Slot Machine Casino Gambling 2019 – New Hampshire slot machine casino gambling prohibits slot machines or other games of a similar nature. Only keno, bingo, and table games are available via charitable gaming regulations. Fundraisers must associate themselves with a charity, to which they must provide 35% of revenue. New Hampshire has no tribal gaming. Next: New Mexico Slot Machine Casino Gambling 2019 – New Mexico slot machine casino gambling consists of 5 racinos, 21 tribal casinos, and 60 non-profit organizations. Tribal casinos have an 80% payout return. All other slot machine locations have payout returns from 80% to 96%. Payout statistics are unavailable from tribal casinos or commercial and non-profit licensees.